DOVER – If you are a student aged 12 through 15 with an interest in natural resources and law enforcement, DNREC Fish & Wildlife Natural Resources Police is once again offering summer Youth Academies – with the deadline for applying extended to Friday, June 15. 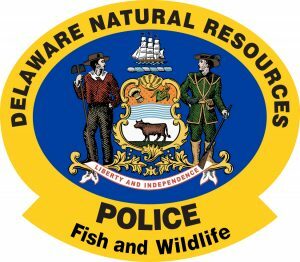 The Youth Academy is a five-day program that teaches boating safety, hunter safety, and how to protect our natural resources while looking to nurture the relationship between Delaware’s Fish & Wildlife Natural Resources Police (NRP) officers and the community. Participants in the Youth Academy attend tuition-free. The Basic Youth Academy is limited to the first 20 qualified applicants, with priority given to those who have not already completed a hunter safety course or boating safety course before the academy begins. Applications must include a 250-word essay on why the applicant wants to take part in the Academy and what Delaware’s natural resources mean to him or her. Students who complete the program will receive both their hunter and boating safety certifications. The Advanced Youth Academy programs are for those who wish to continue learning what it is like to be a Fish & Wildlife Natural Resources Police Officer, as well as learning additional outdoor skills. The Advanced Youth Academy programs are open to youth ages 12 through 15 years old who have either completed the Basic Youth Academy or have already earned their hunter safety and boating safety certifications. An overnight camping excursion is included and parent/guardian participation is mandatory for this portion. Each of the Advanced Youth Academy programs is limited to the first 15 qualified applicants, with priority given to those who have already completed the Basic Youth Academy. Applications must include a 500-word essay on either what they learned from the Basic Youth Academy or, if they did not attend, what the applicant learned when they took their hunter and boating safety courses. Applications are available online at http://de.gov/fwenforcement, and at DNREC’s licensing desk in the Richardson & Robbins Building, 89 Kings Highway, Dover, DE 19901. Opportunities to support the Fish & Wildlife Natural Resources Police Youth Academies are available. These programs prosper through the generous support and donations from community businesses, private organizations and individuals. For more information regarding the Youth Academy, please call Captain Brian Pollock at 302-365-8703 or email brian.pollock@delaware.gov.